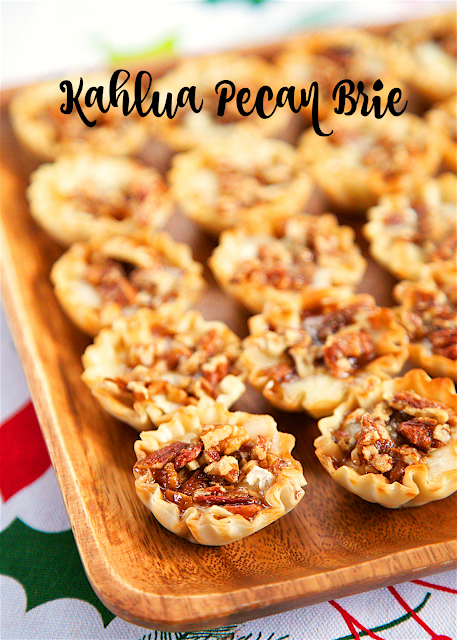 Kahlua Pecan Brie Bites Recipe - only 5 ingredients! 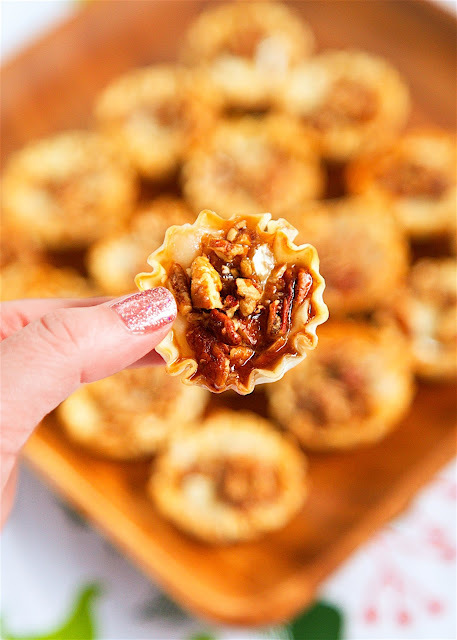 Kahlua Pecan Brie Bites - only 5 ingredients! Can assemble ahead of time and refrigerate until ready to bake. Perfect party food! 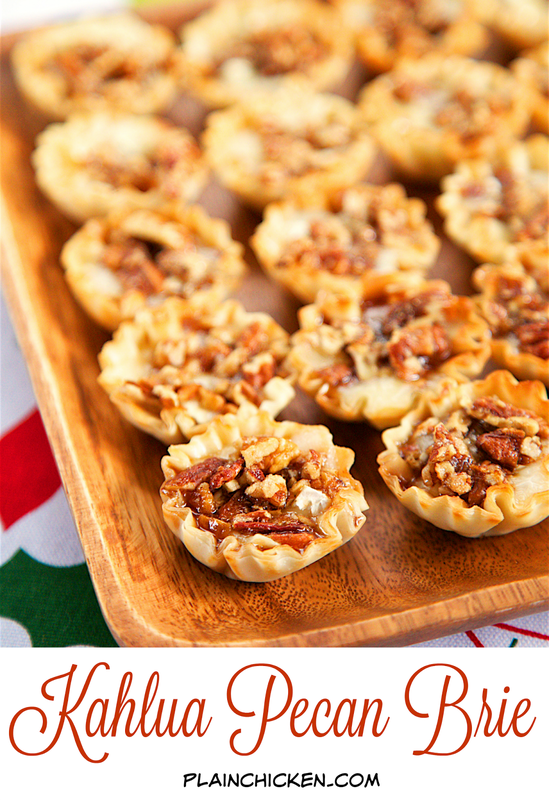 Here is a last minute Christmas appetizer or an early New Year's appetizer! I love baked brie, but it is kind of messy to serve at parties. I prefer to serve baked brie in mini phyllo tarts. It is super easy to eat and you get the perfect amount of toppings in each bite! I topped the brie with a mixture of brown sugar, pecans and Kahlua. It was SO delicious! These Kahlua Pecan Brie bites can be assembled ahead of time and refrigerated until you are ready to bake. Perfect party food! Remove rind from brie and cut into 30 pieces. 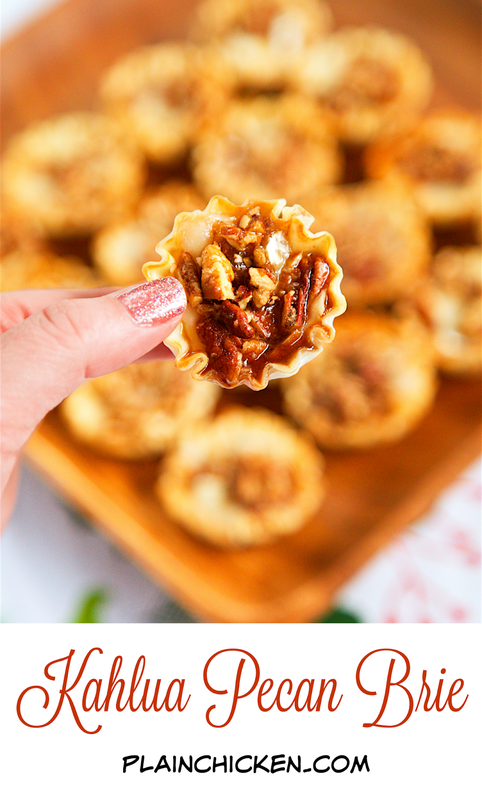 Place each piece of cheese in mini phyllo tart. Mix together pecans, brown sugar, and Kahlua. Spoon over brie. Bake for 10 to 15 minutes, until cheese is melted. Looks yummy but what could I substitute for the Kahlua that would be non-alcoholic?